An Aldergrove food co-operative has won $25,000 in a national co-op challenge. Glorious Organics Workers Co-operative in Aldergrove is a farming collective situated on Fraser Common Farm, and itâ€™s about to expand. It grows some 30 varieties of certified organic food that is sold to restaurants and at farmers markets. It also operates a community-shared agricultural program, in which members purchase a share of the crops at the beginning of the season, and receive boxes of food weekly. With the prize money from this national competition, the co-op plans to build an eco-friendly education centre and greenhouse on the site, from which it can run workshops year-round and provide a community meeting space. There are 16 small and emerging co-ops from across Canada selected as finalists in the national co-op challenge. Winners were determined by online voting, and presented the money by the Co-operators insurance company. A desert golf course has been plucked up by a Langley-based real estate company. 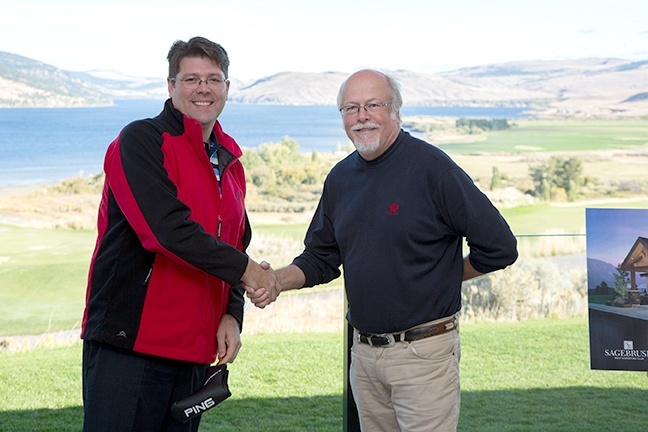 It was announced earlier this month that Newmark Group, a Langley-based construction and development company, has purchased the Sagebrush Golf & Sporting Club near Merritt. Newmarkâ€™s chief operating officer Nathan Schauerte says there are big plans afoot. While the lakeside course is now closed for the season, Schauerte said announcements about improvements and expansion will be made throughout the winter months. â€œWith the ideas we are going to put in place, we will attract golfers and their friends and families,â€ Schauerte said, noting one of the changes will be to increase public access by turning it into a semi-private course. There will also be rebranding on the website, and efforts are afoot to invite media in to discover the operation. â€œSagebrush is a world-class course and it is already a bucket list destination for golfers. It has won several prestigious awards and I see a huge amount of potential to add more luxurious and unique amenities and activities that will provide our guests with an even better experience,â€ said Schauerte. By the way, hats off to Langleyâ€™s Larry Clay, of Clay Construction. He scooped up two awards at the recent Greater Vancouver Home Buildersâ€™ Association Awards of Excellence. Clay earned distinction, along with a few other outstanding volunteers, for his commitment and dedication to enhancing the professionalism of the homebuilding and renovation industry in the region, explained GVHBA chief executive officer Bob de Wit. Clay earned whatâ€™s called the Handshake Award, as well as the Peter Simpson Award.